Kansas City might be named after the state of Kansas, but it’s technically in the state of Missouri. This famous Midwestern hotspot has long been a successful hub of economic growth in the region. The area is thriving – local residents did well to diversify the economy drastically as industries moved overseas. The area even has its own NFL franchise – the Kansas City Chiefs. While the metropolis isn’t known for its tourism industry, it has plenty to offer local residents. If you live in the city, you probably own a car – this means you also have a car insurance policy. Our company is dedicated to helping you reduce your auto insurance costs by partnering you with companies that provide more affordable quotes. 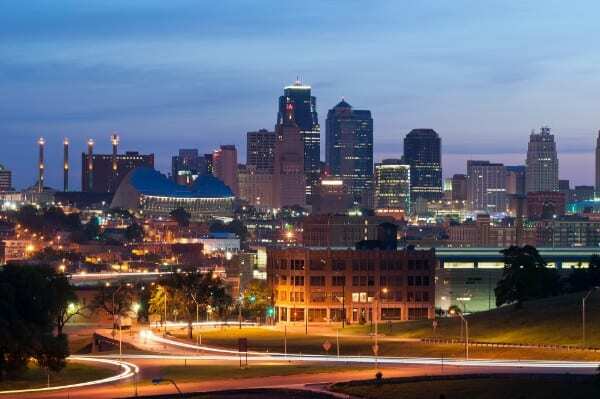 How Helpful Was This Article on Kansas City? If you’re going to drive in Kansas City, it’s important to be aware of the potential issues on the roads. Weather in Kansas City doesn’t get too extreme, though you should always make sure to keep an eye out for weather warnings and other forms of alerts. The main concern in Kansas City is the condition of the roads. The area has notoriously awful infrastructure, so you need to be careful as you navigate the area. You don’t want to end up damaging your car or getting into an accident because of issues with potholes and other hazards. Keep your eyes peeled if you’re driving in Kansas City. Phone and handheld laws in Kansas City depend on the type of driver you are. If you’re under the age of 21, you are banned from texting and driving. In addition, if you are a commercial driver, you are banned from texting and driving. Keep in mind, even though it is legal for some drivers in Kansas City to use their phone, it’s very dangerous and should be avoided at all costs. Many cities are making efforts to curb distracted driving, so it’s worth keeping an eye on this space in the future – Missouri may introduce stricter distracted driving laws. If you are under the age of 16, you have to wear a seatbelt at any time you’re riding in a car. If you are over 16, you only have to wear a seatbelt in the front seat of a vehicle in Kansas City – this includes the driver’s seat and front passenger’s seat. If you do not obey these rules, you will be fined if you are caught. In terms of car seats, the rules get a little bit more complicated. If your child is under 40 lbs. or under four years old, they must be restrained in a car seat. If they are over 40 lbs. and under the age of eight, they can be placed in a booster seat. A child should be in a booster seat until they are at least 80 lbs. and over 4’ 9”. You can refer here for the exact specifications. Make sure to secure your child as safely as possible. The state of Missouri has a blanket rule for all motorcycle passengers and drivers – you have to wear a helmet at all times. If you don’t wear a helmet, you will face a fine from the police. Make sure to use a helmet if you operate a motorcycle, while some states don’t require helmets, this is extremely dangerous and puts your life at risk. Impaired driving continues to be a major problem across the United States. Tens of thousands of accidents occur every year because of individuals driving while intoxicated. In Missouri, there are strict laws in place to prevent and punish impaired drivers. The BAC limit for DWI in Missouri is .08 percent. This limit is reduced to .04 percent for commercial operators, and .02 for people under the age of 21. If you are caught driving intoxicated for the first time, you can expect up to $500 in fines, up to half a year in jail, and up to 90-days of a suspended license. If you are severely intoxicated, these thresholds may be increased. In addition, if you’re someone who is a repeat offender, you will most likely receive harsher punishments. If you haven’t seen crash data from the state of Missouri, you might be surprised about the amount of trouble on your local roads. In fact, in 2016 alone there were over 390 passengers killed because of a lack of seatbelt or restraint. In addition, over 150 were killed from collisions with trees. Over 140 drivers under the age of 20 were killed on state roads as well. 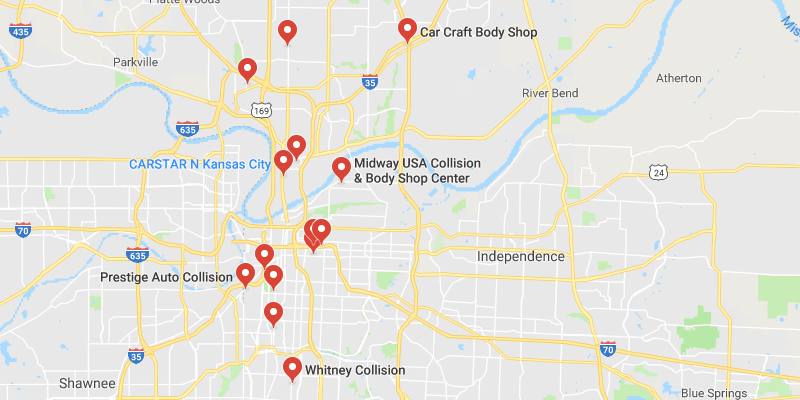 As you can see, there are plenty of reasons to be as careful as possible on roads in Kansas City and the rest of Missouri. If you’re in the market for a new insurance plan, you want to be certain that you get the best deal possible. 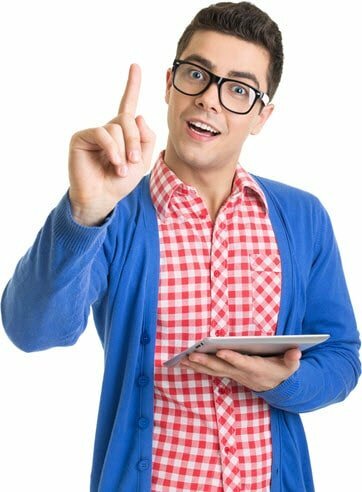 Make sure that you compare quotes – taking your first quote at face-value is the easiest way to get ripped off. Make insurance companies work for your business. 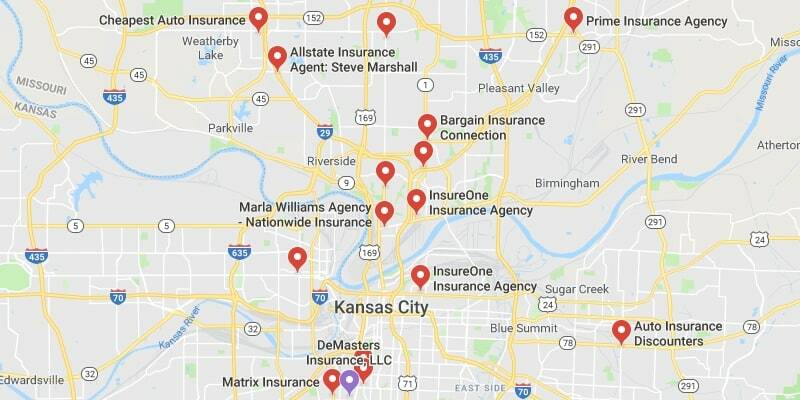 Our site can help you find the best insurance providers on the market. Make sure to take a look at our suggestions. If you still want to learn more about auto insurance, our website is a great resource if you need additional help. We have plenty of great resources for you to check out!